We offer high-energy pulsing blue light phototherapy to ease the symptoms of acned skin and inflamed rosacea. The blue light can, without causing any injury to the skin surface, impede the growth of the P. acnes bacteria that breed in acne and thereby assist the healing of acne and prevent new outbreaks. 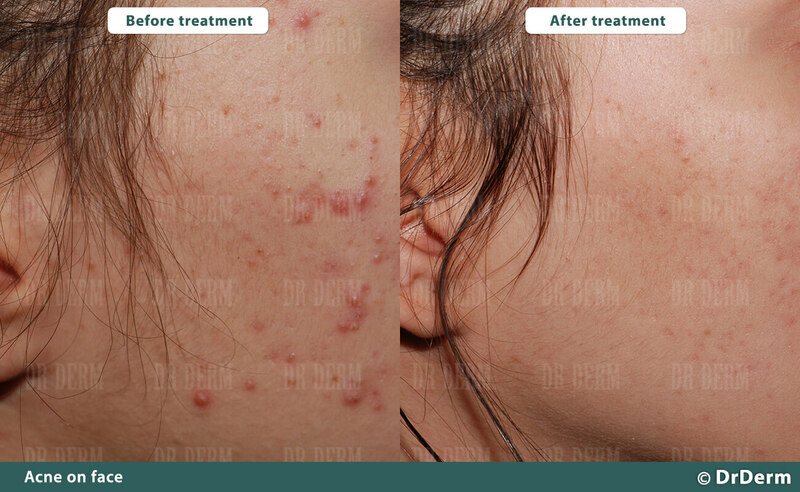 Those who have acned skin (for almost all types of acne, as an alternative or supplement to a drug treatment). Those who suffer from perioral dermatitis (itchy red rash around the lips) or inflamed rosacea. The two sides of the face or the whole face, the neck and the cleavage, the shoulders and the upper part of the back. 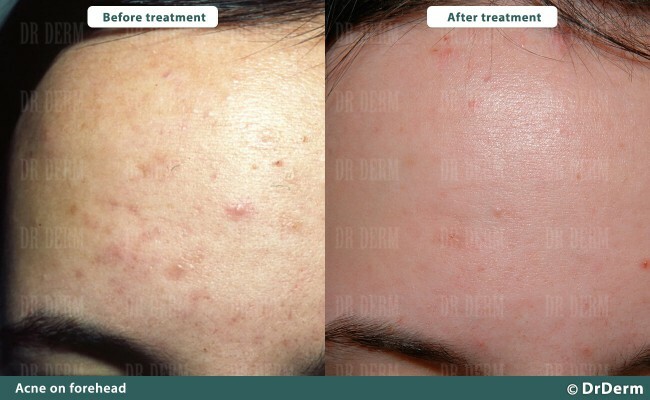 The BlueBBL treatment does not require any special preparation> it can usually be performed on the day of examination. We recommend not sunbathing or visiting tanning salons for two weeks prior to the BlueBBL treatment. During a BlueBBL treatment a cooled handpiece is in contact with the skin surface and issues a series of light impulse of a few seconds duration. Then we treat the neighbouring skin area. We treat the area in 2-3 rows, depending on the nature of the problem. The cooling prevents burns to the skin. The treatment may cause slight discomfort though in general it is painless. The patient can return to work immediately after the BlueBBL treatment as it causes no skin injury. The treatment may be followed by mild redness on the skin which disappears in a few hours and can be covered with makeup. After treatment there is no need for any special skin care at home, though it is always recommended to avoid exposure to light for two weeks. We recommend repeating the treatments (set of 4-8 treatments). The BlueBBL treatments can be performed weekly or fortnightly. The BlueBBL treatment is based on the advanced BBL technology of Sciton Inc., a US laser manufacturing company. According to scientific tests, blue light accelerates metabolic processes in Propionibacterium Acnes which are contained in inflamed sebaceous glands. During the processes, the porphyrin compounds increase and the bacteria are destroyed. Led by Dr Gábor Varju, Dr Derm Anti-Aging Dermatology, Aesthetic Laser and Plastic Surgery is the first institution to use the equipment and the related treatment methods in Hungary. 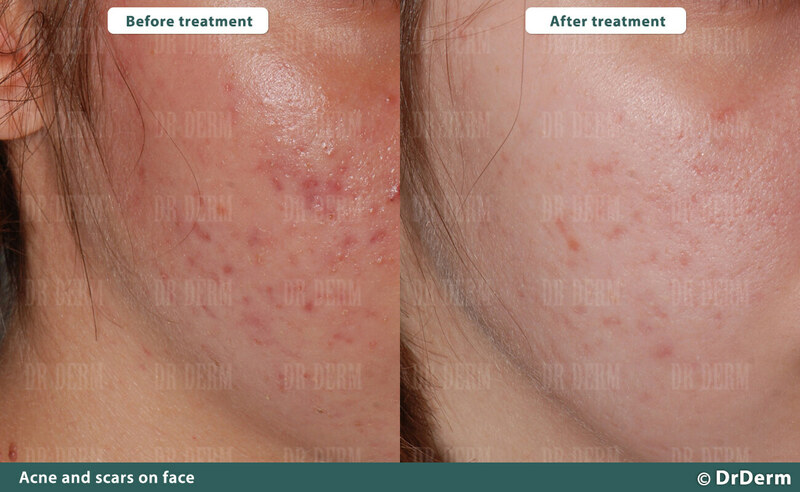 A BlueBBL treatment costs between HUF 29,000 and HUF 75,000, depending on the size of the skin surface. Dr Derm Anti-Aging Center – All rights reserved!